Moving set of acoustic songs from five-guy five-girl Canadian folk outfit featuring warm harmonies accompanied by acoustic guitars and soft background organ. 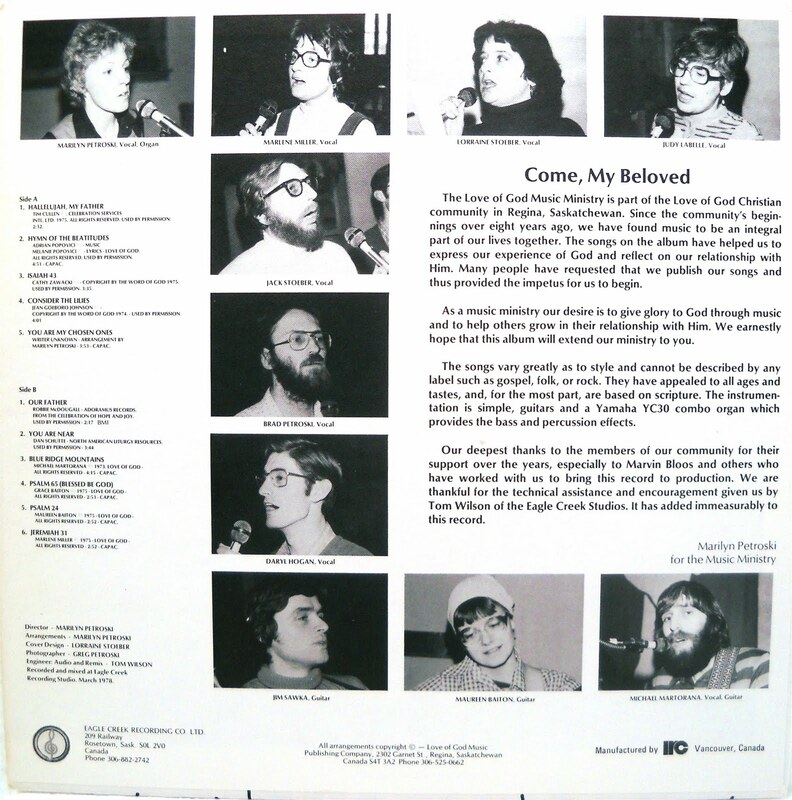 Mostly original songs, plus covers of the St. Louis Jesuits (‘You Are Near’) and The Word Of God (‘Isaiah 43’, ‘Consider The Lilies’). 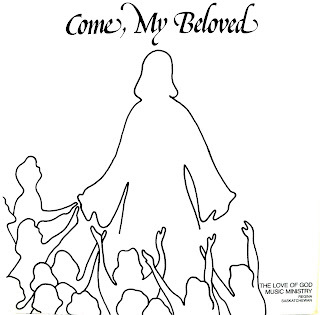 ‘Hymn Of The Beatitudes’, ‘Blue Ridge Mountains’ and ‘Psalm 65 (Blessed Be God)’ are some of the self-written titles. A few distant suggestions of artists like Ellis & Lynch, God Unlimited and The Medical Mission Sisters. Some pleasant solo vocals as well. Eleven stirring delicate songs that touch the heart, making for another quality entry in the ‘70s melodic Catholic folk catalog. 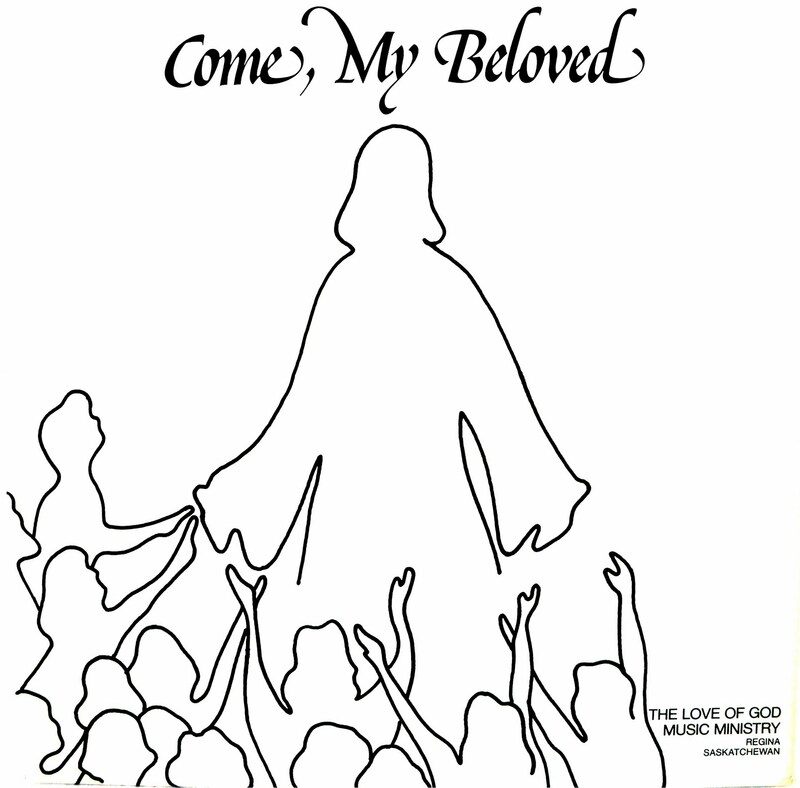 Custom recording from the Love Of God Christian Community in Regina, Saskatchewan. (The Archivist by Ken Scott, 4th Edition). Dia, any chance that you can upload the frontcover for this again, it's corrupt. There is possibly nothing that is more soothing than this kind of catholic folk music. It really helps me in the ups and downs of my life and draws me closer to Jesus. Thank you. The music on this blog really means a lot to me.